We attended our first bridal show in September at The Berry Barn. 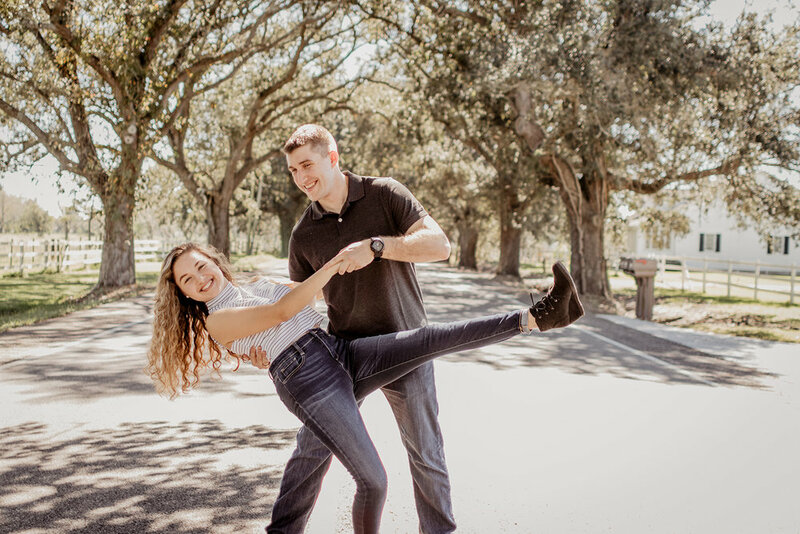 For that show we decided to give away a free engagement session. Amazingly our son’s teacher’s sister won the free session. We were all thrilled! 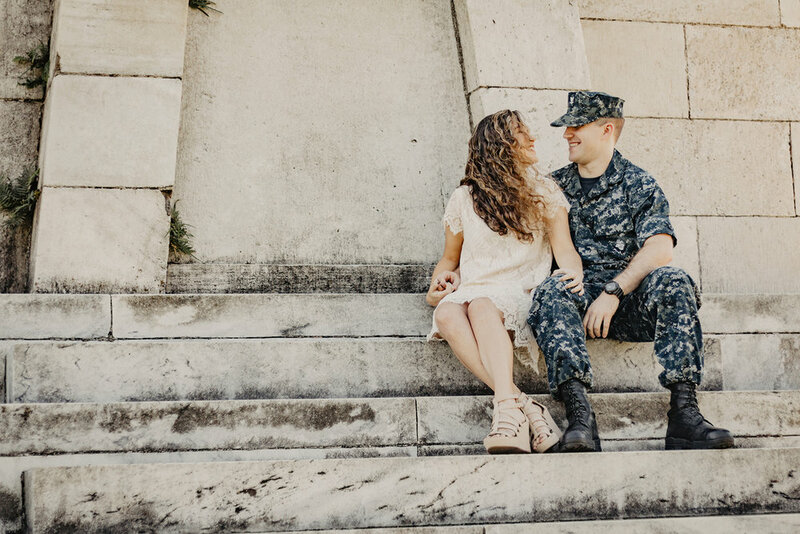 They decided they wanted to take their engagement pictures at the Chalmette Battlefield because it held some great memories and sentimentality. This was the first time Dylan and I had been here, and we were impressed! It was beautiful weather so we got there a little early to explore. 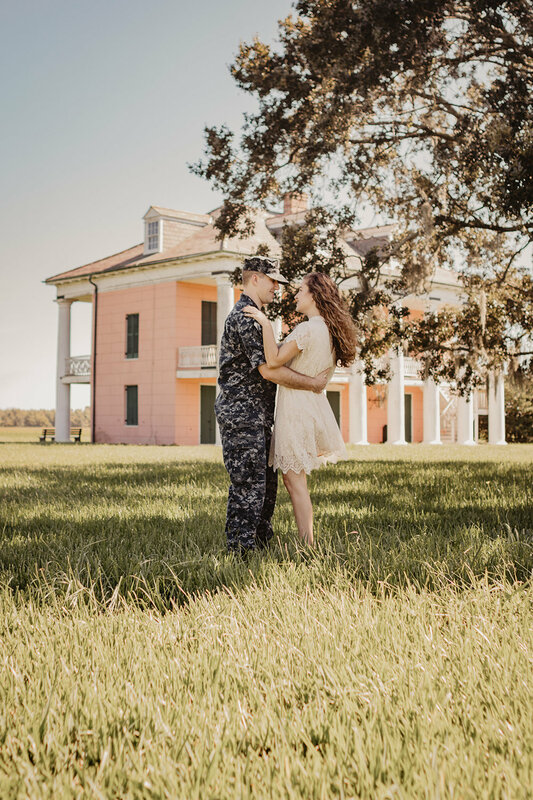 There’s a monument, cannons, a plantation home, and some beautiful oaks so there were many places for photo ops. Jennifer and David were naturals so they needed very little direction. This gave us an opportunity to experiment with some different lighting situations which was really fun. After the battlefield they took us to the street that Jennifer used to live on, so we got some photos of them by her old house as well. Our last stop was on an oak tree lined road, and yes, we did run into the middle of a fairly busy road to get these great shots! At the end of the shoot they treated us to lunch at Rocky’s which was so sweet! The helpings there are enormous and the macaroni is so delicious. A perfect ending to a really fun shoot.